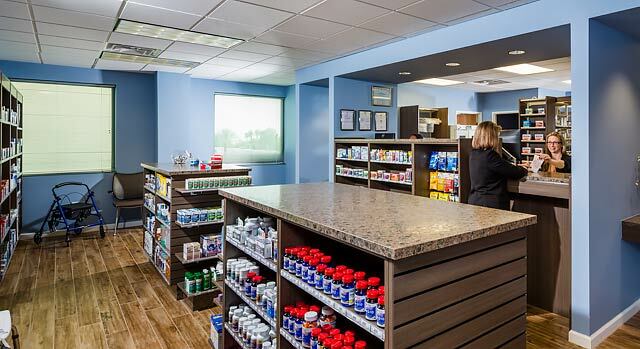 The CentRx Pharmacy on the Spring Valley Hospital campus makes getting prescriptions and picking up over-the-counter items quick and easy. The CentRx Pharmacy is open Monday through Friday from 9 a.m. to 5:30 p.m. (closed Saturday and Sunday) to fill prescriptions written by physicians at Spring Valley Hospital or any other healthcare provider in the region. The pharmacy accepts most major prescription plans including Medicare Part D.
You can order refills for your prescriptions online at the CentRx Pharmacy. Most insurances are accepted. Just enter your prescription number and additional information in the form below and click submit. You will receive an immediate confirmation that your refill order was received. You will be alerted by message or call when your refill order is ready for pickup. If your refill order is not confirmed or if you have any questions, please call the pharmacy at 702-425-4623.